Ian Cameron Esslemont is a Canadian writer. He was trained and has worked as an archaeologist. 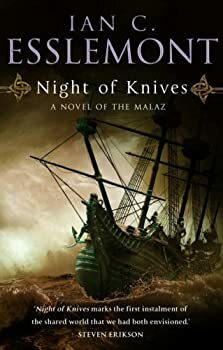 He is best known for his Novels of the Malazan Empire, which is set in the same world as the Malazan Book of the Fallen epic fantasy series popularized by his friend and collaborator, Steven Erikson. 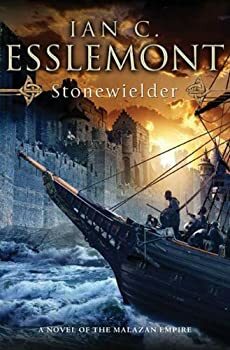 Esslemont is the co-creator of the Malazan world. 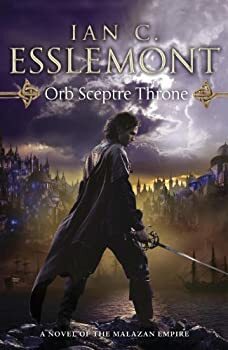 Any die-hard fan of the Malazan novels by Steven Erikson should know of Ian Cameron Esslemont. 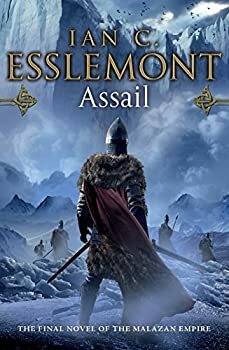 For the uninitiated, Mr. Esslemont and Steven Erikson are the co-creators of the Malazan world, which was originally conceived as a role-playing game. Click the cover to buy this book at Amazon. 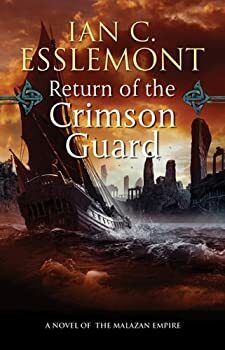 Return of the Crimson Guard is the second of Ian C. Esslemont’s books set in the world he helped create with Steven Erikson, whose longer-established Malazan Empire series has been going for years (the tenth and final book is due out in January). Blood and Bone is the penultimate book of Ian Cameron Esslemont’s main MALAZAN EMPIRE series (I say “main” because he has just begun a prequel trilogy) and while it has its issues, it easily ranks in my top three of the main series’ six titles thanks to a few well-drawn characters and, especially, thanks to its relatively unique setting. Deadhouse Landing: Meet the New Guard. Same as the Old Guard. 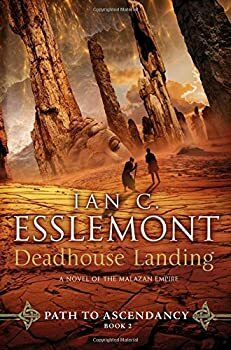 Because it occurs not that far along into Deadhouse Landing (2017), I don’t feel bad about revealing that at one point our erstwhile heroes Wu and Dancer are forced into confronting one of the most dire threats of the Malazan Universe — being taken by an Azath. A revelation that I’m sure will have many of you wondering which of the many great powers of that universe could have driven them onto those perilous grounds: K’rul? T’riss? Kallor, a Matron, Icarium? Worthy candidates all, but none powerful enough. Because it turns out each pales beside the unstoppable, the irresistible puissance of ... the double-dare.